Five sizes, two formats: Snuggle up to your loved one, whenever and wherever you want. Your favorite designs on a cozy soft cushions are now available in panorama format! Show off your loved ones! 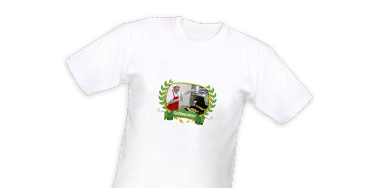 Whether as a party gag or as a gift for your loved one: with your photo and our designs you can create a personalised t-shirt in no time! A must for every dedicated chef! 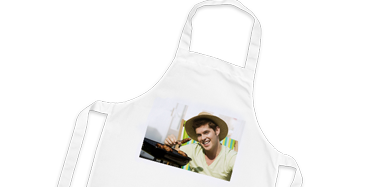 Whether it's Mother or Father's Day, for the dedicated chef or amateur, and especially during BBQ season, this apron is an ideal gift idea all year round. 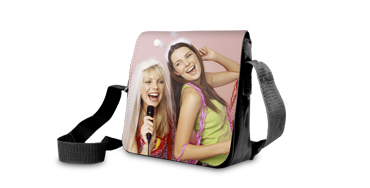 A real designer item: This small satin-finish messenger bag has your favourite picture on the flap. Since shopping is a pleasure! 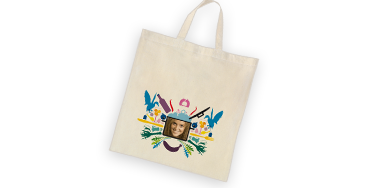 Shopping made easier: Spacious linen bag with your personal photo. With attractive design templates and robust carrying handle. 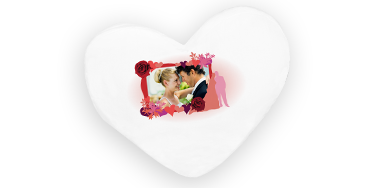 As sweet dreams are guaranteed: This beautiful pillowcase is printed with your favorite personal photo. Just sleep through the alarm clock! A dream image in the truest sense of the word! A fabulous gift idea. 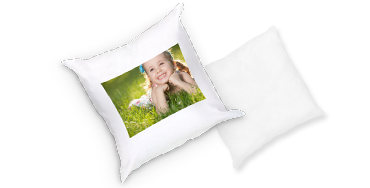 The cover of this cosy cushion is printed with your favourite photo. Washable at 30°C. The ideal cushion for sweet (day)dreams! On your travels or at home, you’re sure to sleep soundly on this cushion.